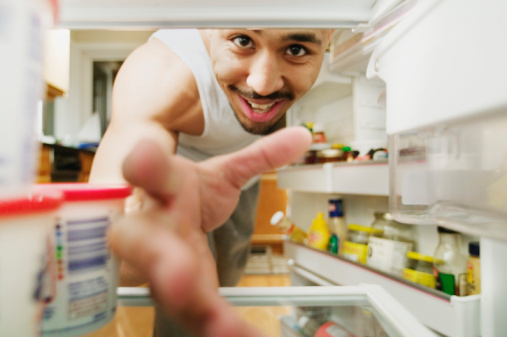 Gen Y – how you stock your fridge can be important to your career! In the absence of her manager, I was recently asked to sit in on some graduate entry-level interviews to support and mentor, Tanya, a new addition to the Talent Management team of an international company. As we mapped out the structure of our individual roles, Tanya’s proposed line of questioning took me by surprise! While I was assigned to cover the traditional HR areas, transferable skills, communication ability, future goals, leadership potential and so on, Tanya’s line of questioning came from a totally different angle. She intended to throw in to the interview pot questions on where/how candidates bought their groceries, where they lived and what they ate and cooked. I am of course very familiar with helicopter parents in the recruitment process, so it shouldn’t have come as a surprise that if parents are involved in these procedures then they are also pro-active in their lives as students. But it did! All students are delighted to have the odd cake or pie from home (I was!) but their weekly groceries? I think I would have thought I had died and gone to heaven! So although parents think they are supporting their offspring, this is just another way of depriving them of learning valuable life skills (budgeting, time management, prioritising, healthy living, becoming a judicious consumer to name only a few) which can impact their careers if they are not in place. As the interviews unfolded a surprising number did come unstuck. I think I learned as much from Tanya as she did from me.